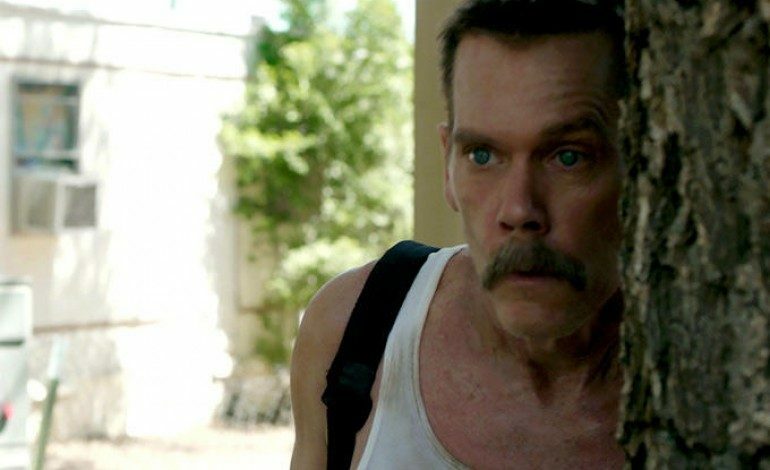 According to The Hollywood Reporter, Kevin Bacon has signed on with writer/director David Koepp to bring horror-thriller book You Should Have Left for the screen. The story, which will be adapted from the original source material created German author David Kehlmann, was published in 2017. It centers on a screenwriter and his family. When he tries to go away with them to a remote place as he writes his work, it looks like he won’t be getting much peace or writing done. Unsettling occurrences ensue, leading the screenwriter to gradually start abandoning his grip on reality. Jason Blum of Blumhouse Productions picked up the project after Bacon and Koepp acquired the book’s film rights and subsequently optioned them. Blumhouse is coming off a very successful 2017, culminating their massive hits with an Oscar for Jordan Peele’s original screenplay of Get Out. Keeping with that trend, Blum’s 2018 is looking to match expectations. In this latest project, Bacon will produce as well as headline the film, and Koepp will sit in the director’s chair, helming the film with a script he adapted from the Kelhmann book. Together they’ve previously collaborated on Stir of Echoes, which Koepp wrote (adapting the script from a novel) and directed, while Bacon portrayed the lead. Second time’s the charm, and it will be nice for fans to have a reunion between the two artists. Production on You Should Have left is expected to begin later this year.